My love of all things vintage continues to grow. So I was pretty excited when fellow vintage enthusiast Holly from Gidget Sews sent me some of her new vintage-inspired aprons. If you're embracing the "new domesticity" like so many of us are, you'll enjoy baking your next blueberry banana muffins while wearing one of these lovely aprons. 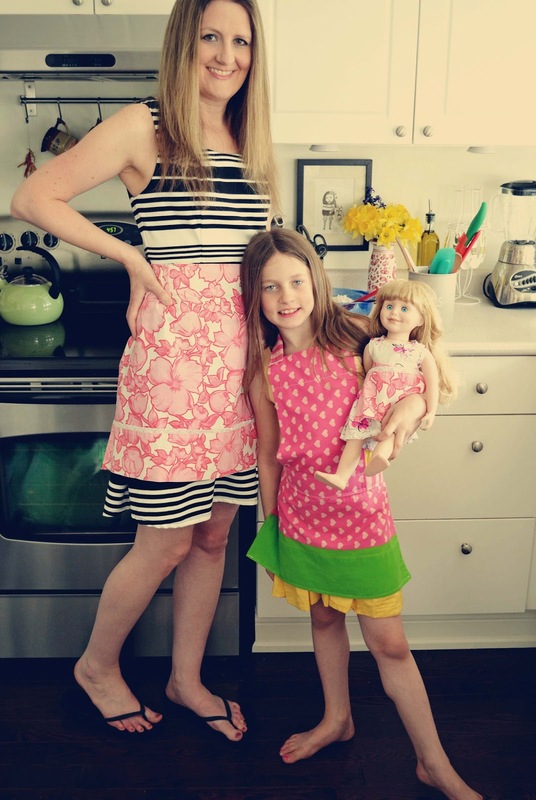 Holly makes aprons for women, children and dolls (of the standard American Girl or Canadian Girl/Maplelea variety). 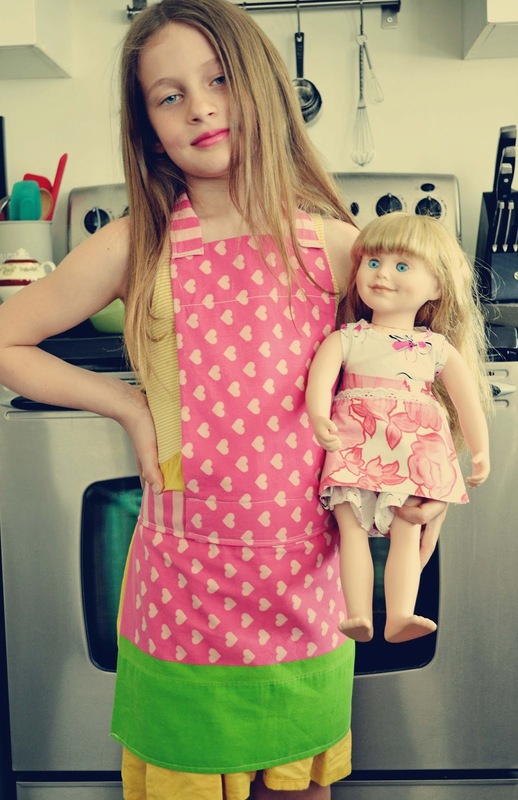 My daughter loves putting on aprons when Mom does and she was over the moon to get aprons for herself and her doll. Holly lives in one of my most favourite cities: St. John's, Newfoundland. She moved there from Toronto in 2010. She has now turned her passion for knitting, crocheting and sewing into an Etsy shop. Inspired by vintage design, Holly uses 100% reclaimed/vintage material and/or eco-friendly material for her sewing projects. Her children's aprons are full-length and double-layer, so they are sure to catch any drifting flour or spilled beverages. 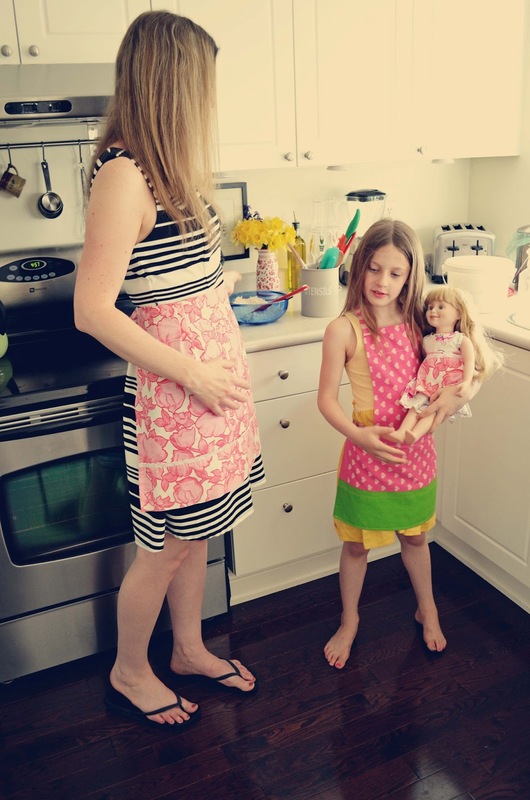 The doll aprons are just plain cute. Why is everything cuter when it's tiny? Holly has now added adorable tote bags to her offerings too. She just listed an awesome "Hipster Fox" tote bag that somebody just has to buy (before I do!). From now through the end of June, Holly is giving Woman in Real Life readers 25% off aprons and totes, with free shipping in North America. Use the code womaninreallife25. 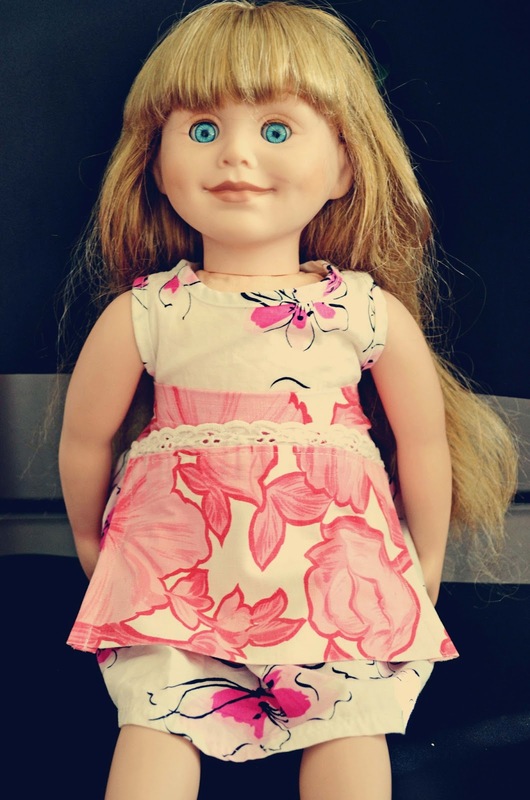 Take advantage of this offer - that's $3.75 for a doll apron! What little girl wouldn't love to have one of these little aprons? At that price, you could use them for loot bags. Visit the Gidgets Knits Etsy shop here. Visit the Gidget Sews Facebook page to enter to win a package of gifts including organic chocolate bars, a women's apron, a doll apron, a $25 Chapters gift card and a $15 Tim Hortons gift card. Hi Angie, I really SHOULD wear them all the time in the kitchen, because I am a sloppy cook/baker!! Ohhhh ,the Pictures are great! Love this Post ,super cute Mom and Daughter! Hopefully, Holly gets a few sales between the two of us!! These aprons really are so cute, I love mine and if my girl was a little girl still, I would be buying one for her!! How sweet! I never remember to wear an apron, but they really are cute. All three of you look great. Thanks! I often forget too when I'm cooking. I only remember when baking for some reason. They are cute, aren't they? :) It DOES make baking more fun. You're right! Adorable! You and your daughter are just too cute. I love vintage fabric and these aprons are so cute! Thanks for joining Diann and I at TTF!